The Spanish language has its roots in the ancient Latin dialect spoken by roman soldiers during their occupation of the Iberian Peninsula. Initially spoken in the area now known as northern Spain, the influence of the Spanish language has grown over the past thousand years to be one of the dominant languages on Earth. Following the growth of the Spanish Empire, Spanish eventually came to be spoken throughout the Iberian Peninsula, in most of South and Central America and parts of Asia and Africa. Although it is not an official language of the United States, a large portion of Americans speak the Spanish language as a first language or learn Spanish while in school. Many high schools require completion of a Spanish course for graduation. Spanish has replaced French as the second most spoken language in North America. The Spanish language is spoken on every continent and is the official language of twenty one countries and of the United Nations. Many people learn Spanish for business. The fast growing economies of Mexico, Peru, Argentina and the Philippines are more accessible for entrepreneurs who have some familiarity with the language. English/Spanish bilingualism is becoming increasingly attractive to employers, particularly within large companies with international customers. Travel is much easier with some basic Spanish language skills. Tourists to sea and sand destinations often take a Spanish course before embarking so that they can feel more comfortable dealing with hotels and restaurants. Knowing some Spanish also makes it easier to leave the resort areas and have a more authentic travel experience. All languages can be challenging to learn. Spanish pronunciation can be difficult, particularly for those who are softly spoken. Luckily, Spanish follows very precise pronunciation rules. 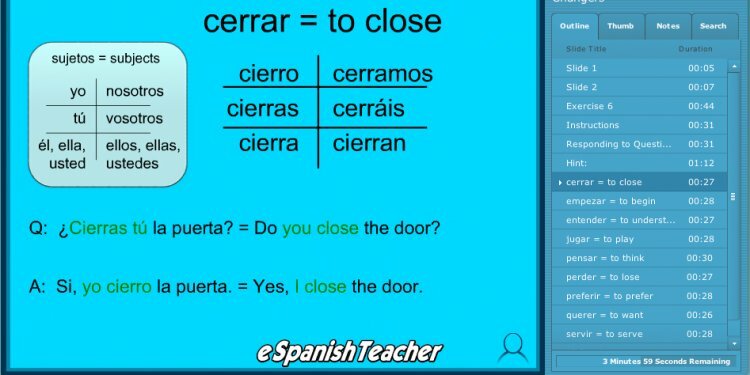 Learn these rules at the start of your Spanish course and you will quickly develop an ear for proper pronunciation. Castilian and Latin American Spanish have slightly different dialects. Some of the consonants are pronounced differently in the Americas. It is best to determine which dialect you wish to learn before choosing a Spanish course. In Spanish, nouns are gendered and in order to learn Spanish you must also learn to distinguish between masculine and feminine words.